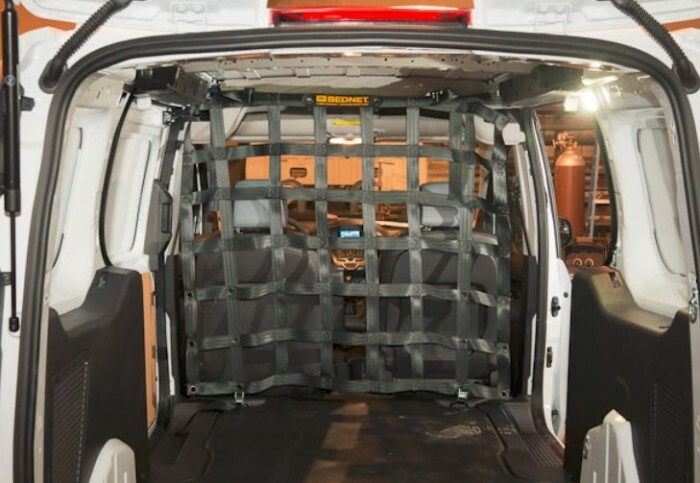 All Cargo Van Safety Net Products by Adrian’s Safety Solutions are DOT and NACSS Compliant. The Bednet® Bulkhead is ideal for cargo van safety. It protects the driver from objects carried in the cargo area during an accident or hard-braking situation. This net can be installed in most vehicles in minutes, with anchor points normally needed only at the top. Easy load visibility provides drivers with an added level of safety as shifted or spilled cargo can be identified before compromising the stability of the vehicle or spilling out the doors upon opening.